Everyone may not know how to store furniture in a storage unit correctly and you will want to preserve your furniture when storing in Ottawa to ensure that your possessions last as long as possible and remain in good condition while in your Ottawa storage unit. The good news is that with these steps, you can protect your furniture for generations. How do you keep the furniture in tip top shape when in an Ottawa storage unit? Well it is relatively easy. Take the time to properly store it in a climate controlled facility and make sure to prepare the furniture prior to being placed in your storage unit. It takes a little effort to ensure that your furniture is stored correctly but it is worth it. You can protect any piece of furniture, whether it’s a table, sofa, invaluable family heirloom, or cheap bedding awaiting your child’s return to college. Regardless of whether the storage unit is climate controlled or not, keep reading to learn how to store furniture in a storage unit properly and of course a temperature controlled storage unit is the ideal type of furniture storage. 1. 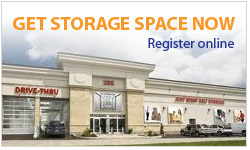 Investigate your storage options in Ottawa. It can be an expensive decision to put the furnitures into storage, depending on the size of storage unit you need and the facility you choose. Do you keep a unit for a long time or do you sell furniture and buy new furniture when the time comes? The average cost of a storage unit varies, but in most cases it is logical to opt for the transport of furniture, if you are in the middle of a move or during a transition period. Protection from weather elements such as moisture is important to everything when storing furniture. Consider all your options before choosing a storage area. If you are serious about keeping these furniture in storage for a long time, you may want a climate-controlled storage unit. Climate control ensures that your precious pieces of furniture are protected from moisture and changing temperatures (plus, when you visit, it helps to keep the temperature pleasant). Items such as wooden furniture, sofas with instruments, antiques and delicate fabrics make the best of this type of unit. However, even if climate control is not an option, there are steps you can take to protect your furniture. It is important to make sure that everything is clean, dry and well protected. Protect your furniture against storage, never putting dirty parts inside. Not only do the unpleasant odors go to nearby units, but at the same time you have a good chance of cleaning, molding and significantly reducing the amount of dust in your storage area. Before you remove the furniture from its original location, dismantle everything you can do – including tables, bookshelves, tables, chairs and more. This extra step will make your truck and then its storage unit easier. It will also reduce the likelihood of breaking anything. Keep all screws, bolts, Allen keys and other small parts in a labeled bag, with the furniture piece that belongs to it. 4. Wrap furniture for long-term storage. Make sure everything is completely covered and covers the floor. Before putting anything into your storage area, put a thick plastic coating on the floor to prevent leakage of your floor furniture from the floor. This step is especially important if you are not a climate controlled storage unit. Fortunately all of the storage units at Just Right Self Storage are climate-controlled to protect your furniture. Use old linens, blankets, drip cloths, or plastic wrappers to cover the pieces and protect them from dust and moisture. Be careful not to wrap the furniture with thick plastic covers that will be covered with damp, because it can create chills and swollen furniture. Wrap the furniture so that it can breathe by wrapping the material loosely over the furniture. 5. Protect the mirrors and windows. Obviously, glass tables and mirrors require some extra precautions. First wrap the item on the wrapping paper. Do not tape the paper directly on the glass, as it will leave a dirty residue to clean the paper later. Then either cover the glass in the bubble wrap or put the whole thing in a box for some extra security. Use a long and wide box, but the glass is similar in shape, relatively flat. 6. Too much stuffing inside. The best way to store your furniture in a storage unit is to avoid being overloaded. A definite way to break something of value is to put yourself into your storage unit too much. Take a minute to organize your storage unit for easy access. Pack the furniture starting from the largest pieces and eventually working with boxes and small items. Make sure there is always a corridor to reach the back and sides of the unit. Try to keep your storage space clean and degraded to protect your furnitures and other content. Since you are trying to do more and more things, you are likely to hit items, bend parts and cause other damage. The storage of furniture in a storage unit does not have to be complicated or stressful. One of the biggest mistakes people make is to spend too much on a unit or to buy a storage unit that is not big enough. Make sure that you have selected a storage unit of the appropriate size for the amount of furniture you have to store. We can help you find the perfect size storage unit in Ottawa and we are waiting by the phone to answer any questions you have regarding our Ottawa storage facility.